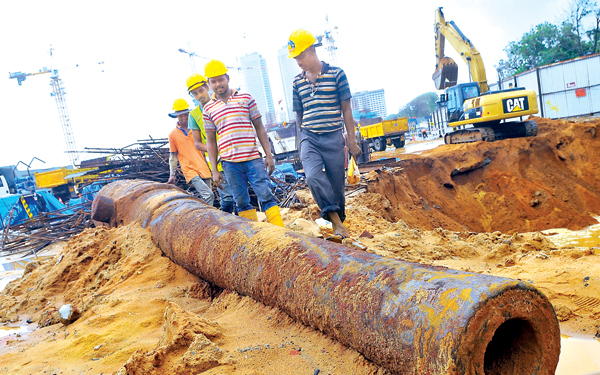 Parts of an artillery gun with historical value was found in the Galle Face area yesterday. Parts of the gun were detected by workers at a private construction site when they were excavating an area for construction, Military Spokesman Brigadier Jayanath Jayaweera told the Daily News. He said the main part of the gun is 26 feet in length. The Archaeological Department has already been informed, Jayaweera said. Archaeology Director General Dr. Senarath Dissanayake said excavation and construction at the site has been temporally halted. "We will send an excavation team headed by the Excavation Unit Director to observe the archaeological facts of the gun and the surrounding area," he said. Dissanayake said parts of the gun will be brought to the Archaeological Department premises for conservation.